President Museveni greetings some of his ministers while on a tour to Bunyoro Kingdom...2009 will be a year when Museveni must play his big political cards to enable him, win the 2011 elections if he decides to stand. The year 2008 has ended with some unfinished business in the political arena. The actions or reactions to this unfinished business are likely to shape things in the year 2009. The Democratic Party (DP) and Forum for Democratic Change (FDC) that were supposed to hold their Delegates' Conference in 2008 didn't hold the highest decision making meetings for the respective parties. Although the two parties sited lack of funds for failure to hold delegates' conferences, it is safe to predict that that the year 2009 is more appropriate for the delegates' conferences because it is nearer the year of elections 2011. This may especially be the case given that politics is much less like a game of football. In a game of football, all actions and reactions (like back passes and other illogical actions) are aimed at putting the ball behind the net, as football commentators say. It therefore goes that most of the many political and administrative actions expected to be undertaken in 2009 will have the Presidential and Parliamentary Elections in 2011 factored in. During a countrywide tour that was interpreted by some cynical analysts as a campaign trail activity, President Yoweri Museveni tested the mood of the national electorate; ditto for Dr. Kizza Besigye, the President General of the Forum for Democratic Change. Dr. Kizza Besigye has been President Museveni's main challenger in the last two presidential elections. However, the most significant aspect of President Yoweri Museveni's 2008 countrywide tour was that he met (choreographed?) calls requesting him to seek re-elections for a fourth (read elected) time. The 'popular' calls requesting President Yoweri Museveni to seek re-election are likely to trigger a follow-on activism in 2009 that may crystallise into President Museveni's open subtle (or may be open?) declaration of willingness to seek re-election in 2011. After all he qualifies, having succeeded in convincing the 7th Parliament to lift Presidential term limits. If President Yoweri Museveni declares his (subtle or otherwise) intentions to seek a Fourth Term of office in 2009, it is likely that FDC's President General Dr. Kizza Besigye would follow suit kicking off a third round of the two men's contest for the top office in Uganda. Yet whereas it may be easier for Museveni to get an endorsement for NRM's presidential candidate, Kizza Besigye may have to do some internal mobilisation in his party. Whereas it is easier for President Yoweri Museveni to suppress internal dissent in the NRM by offering patronage benefits, the challenge for FDC's Dr. Kizza Besigye is he has little to offer save for openly coming out that this would be his last attempt at becoming Uganda's president using the FDC vehicle. A lot has been going in the FDC to show that the main opposition party will have to solve internal problems to be able to have a united front fort the next general elections. Towards the end of 2008, the FDC established the Disciplinary Committee and consequently summoned MP Alex Onzima, Party Vice Chairman Phoebe Otala and MP Beti Kamya. The accusations against the senior party members varied: Onzima is accused of lack of total support to the party; Phoebe Otala is accused of abscondment from duty while Beti Kamya was accused of issuing utterances detrimental to party cohesion. Of all the three cases, Beti Kamya's cases attracted a lot of public attention. The open dissention by Beti Kamya, the FDC Rubaga North Member of Parliament, is therefore likely to be resolved in 2009. It doesn't matter whether she is brought back to the fold or suspended but something will have to be done if the party is to go into the 2011 presidential elections as a solid outfit. Otherwise, the FDC and other opposition parties will have no chance against the NRM. The administrative functions of the state offer the ruling NRM some resources for posturing for the 2011 elections. How many districts will be created (or become operational) as a measure of political posturing? There is Ntoroko District, recently curved from Bundibugyo District in western Uganda. Be sure it will be operational on July 1, 2009 while the Maracha-Terego district saga is likely to be sorted out in the course of the year. In normal circumstances, one would not bet on President Museveni's expected response to political situations; for his predictable unpredictability is well known. If an impending cabinet reshuffle leaks to the press, he would most likely shelve the idea. He once rescinded the dismissal of a senior army officer to beat The New Vision which had scooped the story. But we must accept that these are not normal circumstances. A divided NRM Parliamentary Caucus (same for the Cabinet?) over the Temmangalo land purchase scandal calls for some response of a kind. I am therefore ready to stake my white bull to bet that there is likely to be a cabinet reshuffle in 2009. The constitution of the new cabinet will accommodate popular passionate feelings that government responds to the findings of the Parliamentary Inquiry into NSSF's of Amama Mbabazi's (and Amos Nzeyi's) land in Temangalo. However, the most significant aspect of the Parliamentary probe into the Temmangalo Scandal is that it will most likely be tailed off by a policy shift in the social security sector. The sector is likely to be liberalised by the end of 2009. Eventually, NSSF is likely to find itself in a situation like that of the New Vision Group: a big government player in a very competitive private-led sector. The Land Amendments Bill is likely to take centre stage in 2009. President Yoweri Museveni has insisted that the land question has to be resolved his own way. Yet the year 2010 is so close to elections in 2011; even the devil would not countenance the arrest of Mengo officials as close to the Presidential Elections as 2010. So, the best bet is on passing The Land Amendments Bill in 2009 and use 2010 as a buffer to popularise the legislation (or brave the snide accusations) before elections in 2011. There have been speculations that government would table a bill to change the structure of presidential elections to the effect that the leader of the political party with the majority in Parliament automatically becomes President of the State. This is severally referred to as The Westminster or Parliamentary System (or locally The Milton Obote System). The appropriate time for those changes, if they are to come any way, is 2009. But with Museveni belived to be more popular than the NRM party, it remains to be seen whether he can ever back such a proposal. Because the focus will be on a system or environment that guarantees the powers that be the ultimate seat in the land. With the kind of furore caused by the deletion of presidential terms from the constitution in 2005, any other 'offensive' constitutional changes are also likely to be made in 2009 or early 2010. Our experience is that popular protests tend to wear down with time; by election time in 2011, the fuss over the 'unholy' changes would have died down. In a nutshell, the year 2009 is going to be a year for decisions; hard political decision. For instance how does the government respond to an emboldened Bunyoro Kitara Kingdom in its contest for areas hitherto constitutionally recognised as part of Buganda Kingdom? With the oil find in Bunyoro region, how will the government respond to Bunyoro Kitara Kingdom's posturing as an important player in national politics? By the end of the 2009, the construction of the mini oil refinery will have reached an impressive stage (or completed) with oil starting to drip. The year 2009 is likely to be the turning point in the exploitation of oil resources in western Uganda. It is therefore likely that an Act of parliament on the management of oil resources be enacted in 2009. Question is: what impact will this have on the way politics is played in 2011 and thereafter? The Global Fund and GAVI Fund? Oh yes. They will be sorted out in 2009. Gen. Muhwezi, the main protagonist in the scandal was handed some respite when Security minister Amama Mbabazi found himself in a spot of bother over the Temmangalo scandal. Accusations of corruption in the twin scandals involving Global and Gavi Funds levelled against Maj. Gen. Muhwezi will now have to be juxtaposed with government's efforts to salvage Amama Mbabazi and Dr. Ezra Suruma. 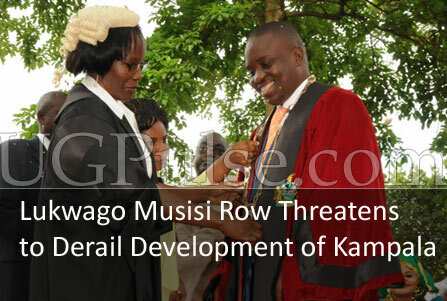 In 2009, Maj. Gen. Muhwezi will try to re-invent himself at the expense of Amama Mbabazi, the minister for Security. By the end of the year, politicians vying for the leadership of the main political parties will have been identified. Political formations and alliances will have been made. 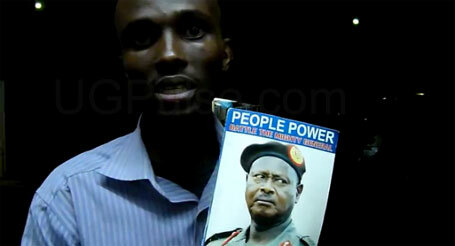 At the end of 2008, the main political formations were DP, Opposition Co-operation (CP, FDC, JEEMA, UPC) and NRM. By the end of 2009, these political formations will most likely have crystallised into structures of campaign platforms. Yet all these predictions could crumble just like the above political platforms. However, even if they crumbled, they still represent the general trend or direction in which the players would have wished the country to go; if all factors could hold constant. More like in football; even a back pass that may result into an own goal is still aimed at scoring goals in the opponent's net.